Music is for soothing the soul, lifting moods when you are depressed, invoke a sense of happiness, and much more. It is a beautiful art form, which is used for the betterment of society in general. However, Skinny Puppy, a Canadian electro-industrial band, got the biggest shock of their lives when they learned about a disgusting truth as to the ugly games going on behind bars at Guantánamo Bay. The incident took place in 2014, and the band had absolutely no idea that the US military was using their music to torture prisoners held at Guantánamo Bay. The band members were horrified that their songs and tunes were being utilized in this gruesome manner. What further infuriated them was that the music was being used without their consent. A whopping fine comprising thousands of dollars was imposed by Skinny Puppy on America’s Defense Department. However, the band said the amount wasn’t a fine, but an invoice of their musical services, which were forcibly used without seeking proper permissions. The band firmly believes it is within their right to claim royalties, especially since the music was being exploited as a weapon that shamed Skinny Puppy’s music big time. Keyboardist Cevin Key was outraged and saddened at the same time that instead of using music to cheer up prisoners it was being applied to inflict pain, damage, and suffering on people. The matter was brought to their attention by a guard who worked at the Guantánamo Bay detention camp enclosure. He was extremely angry by the techniques used here. Initially, the Vancouver-born band had wanted to use their new album cover as an invoice to the Pentagon, but now they have supposedly sent a neatly drafted paper document to the government officials. If things work out in their favor, they might be considering a lawsuit too. But then again they don’t want to be seen as claiming financial compensation or earning money this way. Key said the band was always making unconventional music, and he knew it might be used for different purposes, but not as sonic punishment for Gitmo’s detainees. The band members feel it isn’t right even if their music is somewhat unsettling. But we can guarantee you won’t get tortured with their music – not only will you enjoy the show, but it will also be a worthwhile experience to remember. 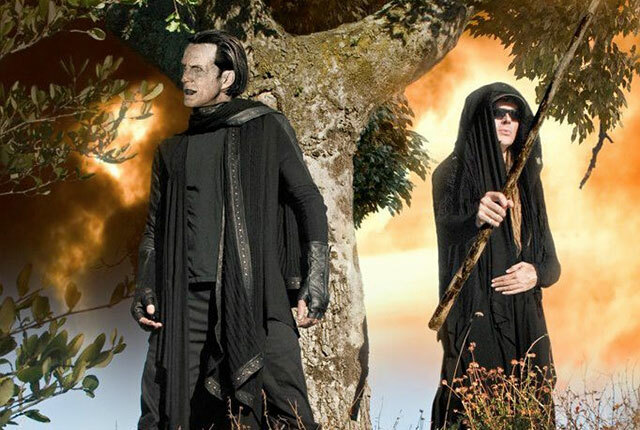 Visit Eventsfy to track upcoming shows, connect with Skinny Puppy on social media, or get your tickets to see them Live!